Philly-via-Brooklyn punk rockers Worriers have shared the second single off their upcoming LP via SideOneDummy Records. Survival Pop is due out Sept. 29. “The Possibility” follows up the album’s first single, “Future Me,” which we shared with you in June. 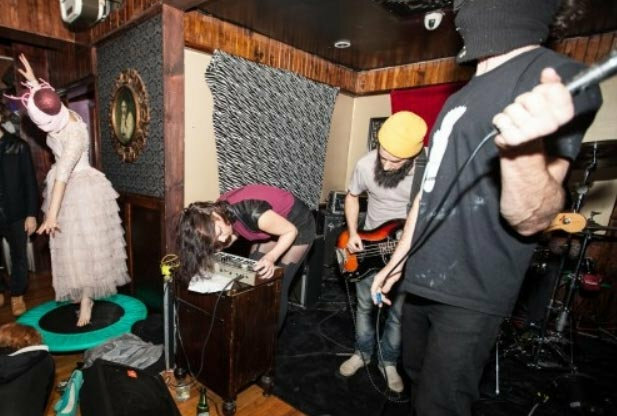 Brooklyn-based six-piece Ice Balloons, which most notably includes Kyp Malone of TV on the Radio, will play Everybody Hits on Friday, Oct. 13. They’ll be joined by Jersey experimental rockers Fond Han.